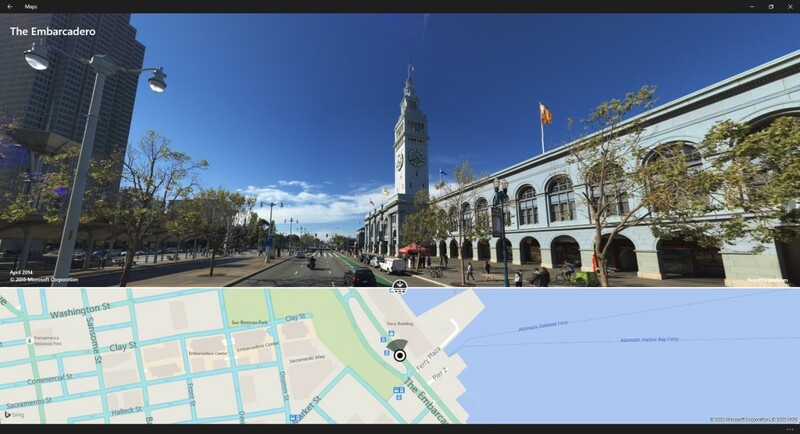 Microsoft released newly refreshed Maps app together with its SDK (which is part of Windows SDK) featuring 3D cities and Streetside experience. I led a team developing Streetside feature together with many talented people from Bing Maps and Windows (KJ Sethi, Mike Ammerlaan, Pablo Candelas Gonzalez, Roberto Bojorquez Alfaro, Seung Woo Lee, Teemu Laakso, and many others). Using the feature we released, users can explore street-level experience natively from Windows by default. Also, any developers can utilize our SDK to embed Streetside to their awesome apps. Bing Maps Preview App from Bing on Vimeo. As a developer at Microsoft geospatial team, I worked with many great people to bring native 3D map experience to Windows 8.1. I mostly contributed on Streetside features, including the lens-like interactive “bubble view” from the aerial perspective, Streetside navigation, and general UI/UX inside the Streetside mode. Baroclinic Turbulence with Varying Density and Temperature from Doyub Kim on Vimeo. IEEE Transactions on Visualization and Computer Graphics, Sept. 2012 (Vol. 18, No. 9) pp. 1488-1495. The explosive or volcanic scenes in motion pictures involve complex turbulent flow as its temperature and density vary in space. 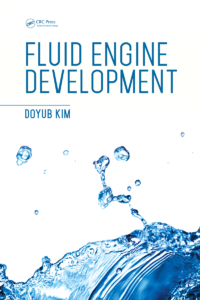 To simulate this turbulent flow of an inhomogeneous fluid, we propose a simple and efficient framework. Instead of explicitly computing the complex motion of this fluid dynamical instability, we first approximate the average motion of the fluid. Then, the high-resolution dynamics is computed using our new extended version of the vortex particle method with baroclinity. This baroclinity term makes turbulent effects by generating new vortex particles according to temperature/density distributions. Using our method, we efficiently simulated a complex scene with varying density and temperature. 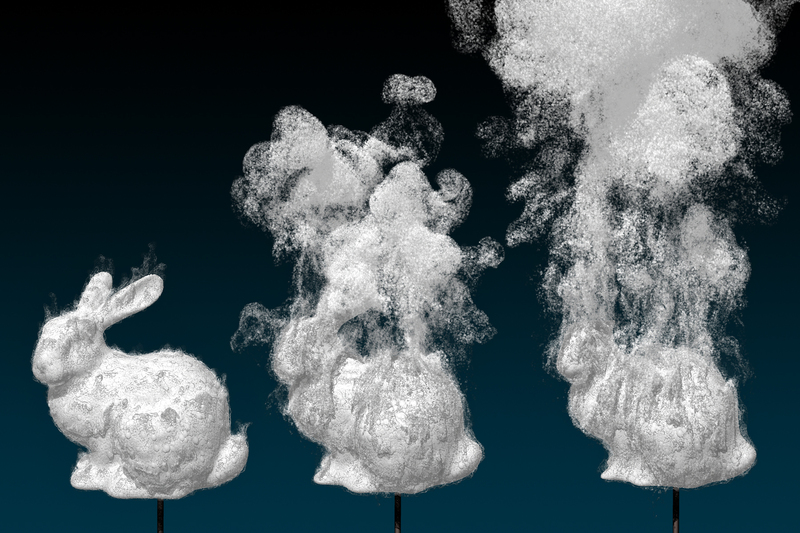 A Practical Simulation of Dispersed Bubble Flow from Doyub Kim on Vimeo. ACM Transactions on Graphics (Proc. SIGGRAPH 2010) Vol. 29, No. 4, 70. In this paper, we propose a simple and efficient framework for simulating dispersed bubble flow. Instead of modeling the complex hydrodynamics of numerous small bubbles explicitly, our method approximates the average motion of these bubbles using a continuum multiphase solver. Then, the subgrid interactions among bubbles are computed using our new stochastic solver. Using the proposed scheme, we can efficiently simulate complex scenes with millions of bubbles. 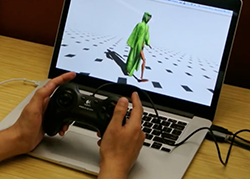 Stretching and Wiggling Liquids from Doyub Kim on Vimeo. ACM Transactions on Graphics (Proc. SIGGRAPH Asia 2009) Vol. 28, No. 5, 120. 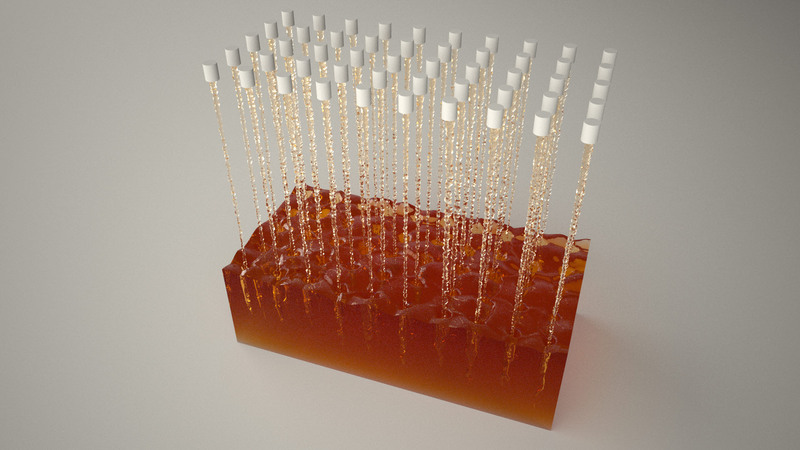 This paper presents a novel framework for simulating the stretching and wiggling of liquids. We demonstrate that complex phase-interface dynamics can be effectively simulated by introducing the Eulerian vortex sheet method, which focuses on the vorticity at the interface (rather than the whole domain). We extend this model to provide user control for the production of visual effects. Then, the generated fluid flow creates complex surface details, such as thin and wiggling fluid sheets. To capture such high-frequency features efficiently, this work employs a denser grid for surface tracking in addition to the (coarser) simulation grid. In this context, the paper proposes a filter, called the liquid-biased filter, which is able to downsample the surface in the high-resolution grid into the coarse grid without unrealistic volume loss resulting from aliasing error. 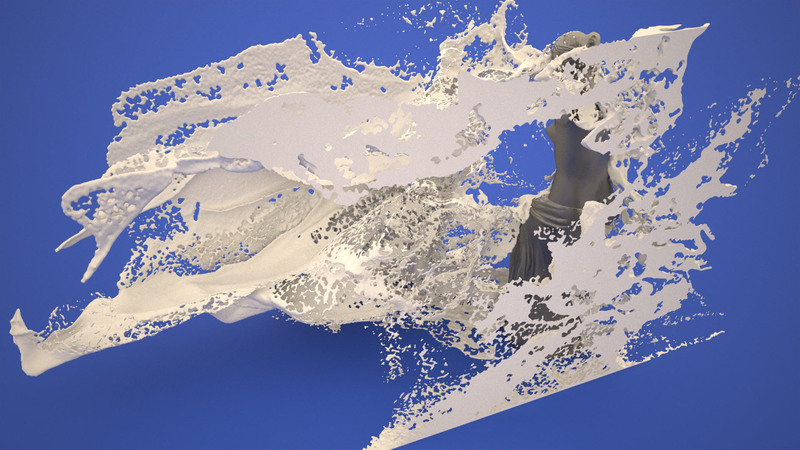 The proposed method, which runs on a single PC, realistically reproduces complex fluid scenes. Computer Graphics Forum (Proc. Eurographics), April 2008 (Vol. 27, No. 2) pp. 467-475. In this paper, we propose a new constrained interpolation profile (CIP) method that is stable and accurate but requires less amount of computation compared to existing CIP-based solvers. CIP is a high-order fluid advection solver that can reproduce rich details of fluids. It has third-order accuracy but its computation is performed over a compact stencil. These advantageous features of CIP are, however, diluted by the following two shortcomings: (1) CIP contains a defect in the utilization of the grid data, which makes the method suitable only for simulations with a tight CFL restriction; and (2) CIP does not guarantee unconditional stability. There have been several attempts to fix these problems in CIP, but they have been only partially successful. The solutions that fixed both problems ended up introducing other undesirable features, namely increased computation time and/or reduced accuracy. This paper proposes a novel modification of the original CIP method that fixes all of the above problems without increasing the computational load or reducing the accuracy. Both quantitative and visual experiments were performed to test the performance of the new CIP in comparison to existing fluid solvers. The results show that the proposed method brings significant improvements in both accuracy and speed. Poster at ACM SIGGRAPH / Eurographics Symposium on Computer Animation, 2007. This paper describes a motion blur technique which can be applied to rendering fluid simulations that are carried out in the Eulerian framework. Existing motion blur techniques can be applied to rigid bodies, deformable solids, clothes, and several other kinds of objects, and produce satisfactory results. As there is no specific reason to discriminate fluids from the above objects, one may consider applying an existing motion blur technique to render fluids. However, here we show that existing motion blur techniques are intended for simulations carried out in the Lagrangian framework, and are not suited to Eulerian simulations. Then, we propose a new motion blur technique that is suitable for rendering Eulerian simulations. IEEE Transactions on Visualization and Computer Graphics, July/August 2007 (Vol. 13, No. 4) pp. 711-719. We present a new fluid simulation technique that significantly reduces the non-physical dissipation of velocity. The proposed method is based on an apt use of particles and derivative information. We note that a major source of numerical dissipation in the conventional Navier–Stokes equations solver lies in the advection step. Hence, starting with the conventional grid-based simulator, when the details of fluid movements need to be simulated, we replace the advection part with a particle simulator. When swapping between the grid-based and particle-based simulators, the physical quantities such as the level set and velocity must be converted. For this purpose, we develop a novel dissipation-suppressing conversion procedure that utilizes the derivative information stored in the particles as well as in the grid points. For the fluid regions where such details are not needed, the advection is simulated using an octree-based constrained interpolation profile (CIP) solver, which we develop in this work. Through several experiments, we show that the proposed technique can reproduce the detailed movements of high-Reynolds-number fluids, such as droplets/bubbles, thin water sheets, and whirlpools. 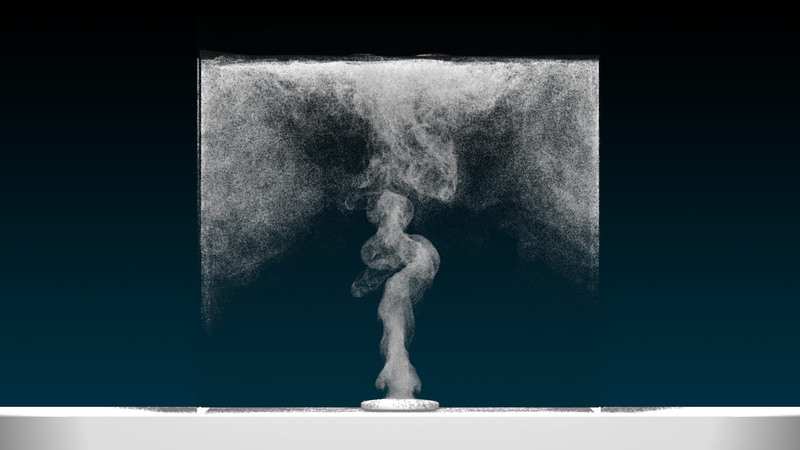 The increased accuracy in the advection, which forms the basis of the proposed technique, can also be used to produce better results in larger scale fluid simulations.